Krishna Janmashtami: Divine Celebration & Importance!! 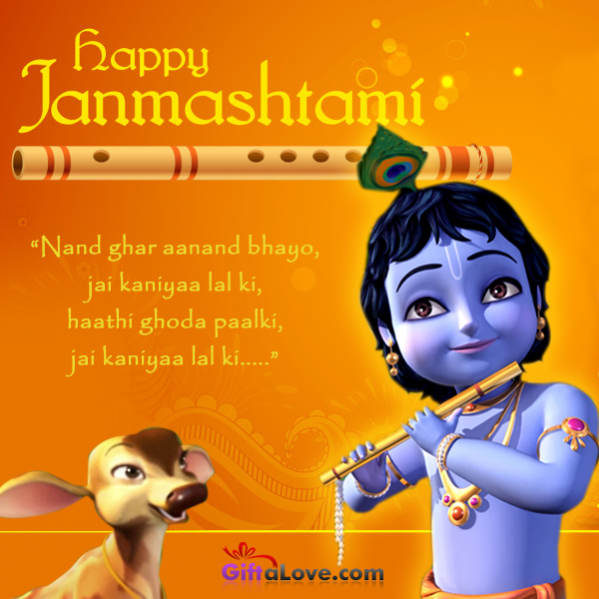 Krishna Janmashtami celebration is one of the main festivals of Hindus. Every year this auspicious festival is celebrated with lot of anticipation and joy. This festival carries a special significance and religious sanctity in the Hindu Dharma. Lord Krishna, the protector of the universe was believed to be born on this day. Various Mythological stories are been known regarding the birth of Lord Krishna. Lord Krishna is believed to be born at midnight. Therefore, devotees gather in temples at the midnight to celebrate the birth of Lord Krishna. This festival is celebrated by singing devotional hymns, religious songs and reading Sanskrit Shlokas & scriptures. Shree Krishna was born to free the earth from evils and sufferings. He was a Avatar of Lord Vishnu and entitled to destroy the negative powers of demons on the face of earth. It is believed that he was born on the 8th day of Krishna Paksha in Shravana month according to Hindu calendar. As per the Hindu mythology, Bal Krishna was exchanged with the infant girl child of Yashodha Maiya and Nand. He was saved from the clutches of his devil maternal uncle Kansa. He was determined to kill the children of his Sister at the time of birth. Thus, Kansa kept imprisoned his sister and brother-in-law. Eventually Lord Krishna killed Kansa and saved Mathura kingdom. Since then on, Hindus celebrate this festival & welcome Bal Krishna every year. Hindu Scriptures also stated that when Lord Krishna was born, there was fury and turmoil in the Mathura city. It was raining very hard and signifies that heavenly being had arrived on earth to relieve, people from sufferings. This is the religious sanctity involved behind the Janmashtami celebration. Lord Krishna propagated the message of fraternity and kinship. His teachings highlighted the importance of “Karma”. He was also the advisor of the great warrior Arjuna in the epic battle of Mahabharata. The teachings (Updesha) of Lord Krishna also give us the message that common mortals should transcends above the worldly affairs and earthly desires. We should not feel bound in the shackles of anger, attachments, greed, pain and sufferings. The birth of Lord Krishna illuminates earth and darkness fades away. We get the message of freeing ourselves from materialistic desires and concentrate on our action. Hindus keep fasts, perfume special pujas and stays awake until midnight. Janmashtami is celebrated to destroy the evil and re-establish the truth & Dharma. This sacred festival brings people together, encourages faith on the Almighty and fighting for the justice. May lord Krishna shower his divine blessings on you and your loved ones! Express your heartiest wishes to family, friends and relatives in form of Divine gifts. Buy online gifts and flowers @ Giftalove.com.